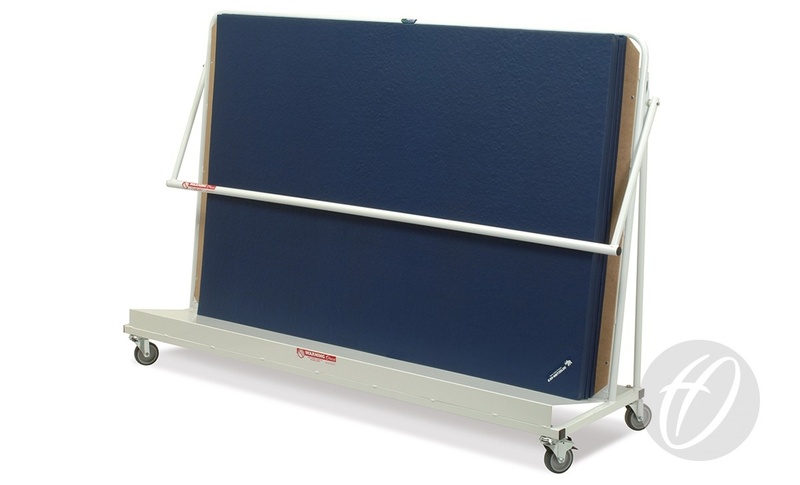 Inclined mat trolley for vertical storage of rigid mats. Tubular steel construction with folding handle holds mats firmly in place against 12mm thick wooden back support. Base and back supports angled for extra support to prevent mats collapsing.